Last weekend, Koreans celebrated Seollal, the Lunar New Year. On Monday, everyone officially turned one year older, and on top of an extra year for being in my mother’s womb, I’m now 27 years old in Korea. Damn. I think I’ll stick to my Western age of 25. Koreans welcomed the Year of the Snake by visiting their hometowns, spending time with family, eating ddokguk (rice cake soup), and worshiping their ancestors, but I opted to spend the new year on the slopes. With Adventure Korea, a budget travel company catered to foreigners in Korea, I ventured to Phoenix Park, one of the ski slopes that will be hosting the 2018 Winter Olympics, located in Pyeongchang, Gangwon province. Phoenix Park is a relatively small resort, but there are a good mix of beginner, intermediate and advanced trails, as well as several chairlifts and a gondola. On Saturday, we boarded the bus in Seoul around 7:30 AM. On the way to Pyeongchang, we quickly and efficiently stopped to rent equipment, jackets and snow pants, and by 12:30, we had our lift tickets and we were ready to go! Upon hearing the crisp sound of my skis carving into the snow, I realized how much I had missed skiing all year. Two of my friends, Charlie and Christine, joined me on the trip, and because we ski/snowboard at similar levels, we stayed pretty active, making several runs over the course of the afternoon. After dinner and a few shots of soju to keep warm, Charlie, Christine and I bought a night pass, and spent the evening traversing the flood-lit slopes. K-pop Music blasted through trail-side speakers and each trail was speckled with Koreans in florescent ski and snowboard gear. We skied until the last lift closed at 11, and slightly buzzed, we passed out on our bunk beds, ready to do it all over again in the morning. However, they must have re-opened the lifts later in the night, because I woke up around 3 AM, and noticed that the ski slope was still fully-lit outside our hostel window. Much to my surprise, people were skiing and snowboarding, and a bunch of girls scurried past those tents in the foreground to grab plastic sleds. At that moment, I wanted to throw on my snow pants and jacket and re-join the party– but that idea lasted for about 30 seconds before I climbed back into bed. On Sunday morning, we readied our gear and chatted with our hostel mates about grabbing some breakfast sandwiches and coffee from Dunkin Donuts to aid Christine and Charlie’s caffeine addictions. “What should we have for breakfast?” I asked. “Let’s get some DD’s,” Charlie suggested. “DD’s!” A couple of the girls in our room chuckled. “Double D, that was Sarah’s nickname,” Charlie added, smirking. We continued this banter for the remainder of the trip; I’m afraid that we drove Christine crazy. Charlie and I attempted to weave through these moguls–as the entire ski team watched us struggle. We also played in the half-pipe. Charlie got a bit of air, but I mainly skied up and down the sides. For lunch, we chilled in the cafeteria and ate some typical Korean meals, like Chinese black bean noodles, soup and fried pork cutlets. Since we had so much fun the night before, Christine, Charlie and I decided to buy another night pass, and once again, we chugged some Hot 6 mixed with soju and skied until 10. Some of the other group members warmed up in the hot tubs at Blue Canyon, a water park located across the street from the hostel. The majority of us went to the noraebang (karaoke) later that evening, but Christine and I were exhausted from 12 hours of skiing, so we dragged our sore legs back to the hostel early. Others stayed out until 2 or 3, like Charlie, who drunkenly woke me up by poking my nose and laughing. “Ughh, not now, Charlie,” I groaned and rolled over in the bunk, while the other girls, once again, stared awkwardly. On Monday morning, Christine and I decided to ski for the last session, taking advantage of the clear blue skies and mild weather. The conditions were, by far, the best out of the entire trip. For three hours, I ecstatically raced down the perfectly groomed slopes with some upbeat music in my ears, savoring my last day of skiing for the year. Korean ski resorts are more like fashion shows than a grounds for extreme sports. I frequently felt out of place in my frumpy rental gear, among everyone else sporting the latest models of pristine, colorful outerwear. I even saw a three year old boy outdressing me in bright blue snow pants with a jeweled chain dangling from the pocket. The trails are much easier than US or Canadian standards. The advanced black diamond trails are similar to blue intermediate trails back home. Overall, I couldn’t have asked for a better weekend to go skiing. Because of Seollal, we had the mountain to ourselves, and we rarely had to wait for the lift. (This is almost unheard of in Korea, where the ski slopes are usually jam packed.) The conditions were ideal, and the long weekend gave us plenty of time to take advantage of the gorgeous weather. Additionally, the trip was much freer than other Adventure Korea trips. Our equipment and rooms were well-organized, but we were free to ski whenever and wherever we wanted, and there were no set times to eat meals. However, lessons run by volunteers were available for beginners. 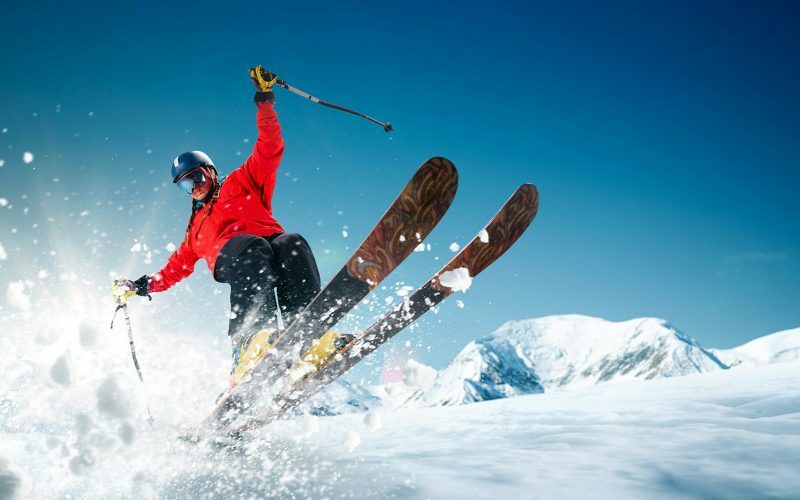 Basically, the trip is just like skiing on your own with a group of friends, but it has been organized for you to avoid any hassle, and instead of paying full-price, you’ll receive discounted lift tickets. 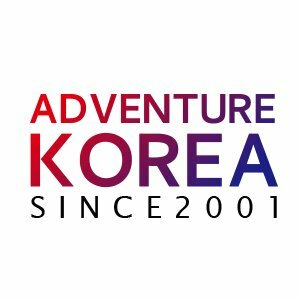 Would I recommend skiing in Korea? Of course! It doesn’t matter if you’re a beginner or if you’ve skied or snowboarded your entire life. There are still a few good weekends left, so now’s the time to hit the slopes while you still can.